This cost share program is designed to provide incentive for residents and businesses within the WCCD boundaries, to implement natural resource conservation practices that address soil erosion, water quality and quantity, energy conservation, or improving wildlife habitat. This program is also for those landowners who can't typically qualify for federal farm bill programs and are smaller projects. This program provides up to 50% reimbursement, up to $2,500.00 of the total project cost. The applicant is responsible for 50% cost of the total project of which 25% can come from other sources. All projects must be pre-approved before being initiated and must be inspected by an approved technical professional upon completion before reimbursement payment is made. Maximum cost-share under this program is $2,500.00. WCCD will match cash expenditures (with receipts) only. The maximum for in-kind contributions will be capped at 25% based on a labor rate of $15/hour. Only one grant may be awarded per family, business, or landowner per fiscal year. All projects that are completed (other than private individuals) will be required to display a sign stating that the project was partially funded or was in partnership with WCCD. 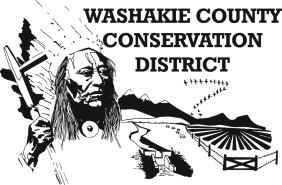 Landowners, residents, businesses, service organizations, schools, museums, churches, partnering organizations, etc., within Washakie County. Grant selection and payment decisions will be made by the WCCD Board of Supervisors. It is the responsibility of the applicant to make the case that the project meets the objective of the program and has public benefit. Applications will be accepted any time, but if it is to be considered for a specific month, WCCD will need to receive it by the end of the first week of that month in order for the WCCD Board to review it during their regular board meeting, which is the 3rd Monday of every month. Applicants are required to attend a WCCD board meeting to present their project.